The Communication and Information Sciences Laboratory (CISL) at the Electrical and Computer Engineering department in the University of New Mexico (UNM) is dedicated for research in all aspects of information storage, processing and transmission. Prof. Sudharman K. Jayaweera has been invited to give a speech in the 8th International Conference on Electronics, Communications and Networks (CECNet 2018). The speech title is "RF Spectrum Situational Awareness (SSA) with Wideband Autonomous Cognitive Radios". The conference will take place in Bangkok, Thailand on Nov. 16-19, 2018. 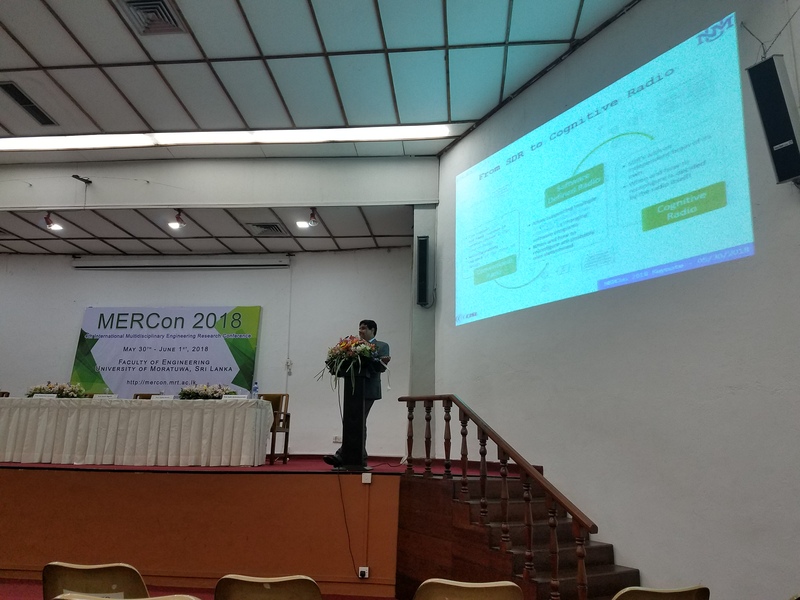 Prof. Sudharman K. Jayaweera participated as a keynote speaker in the 4th International Multidisciplinary Engineering Research Conference (MERCon 2018). The title of the keynote is "Spectrum Situational Awareness (SSA) with Autonomous Cognitive Radios". 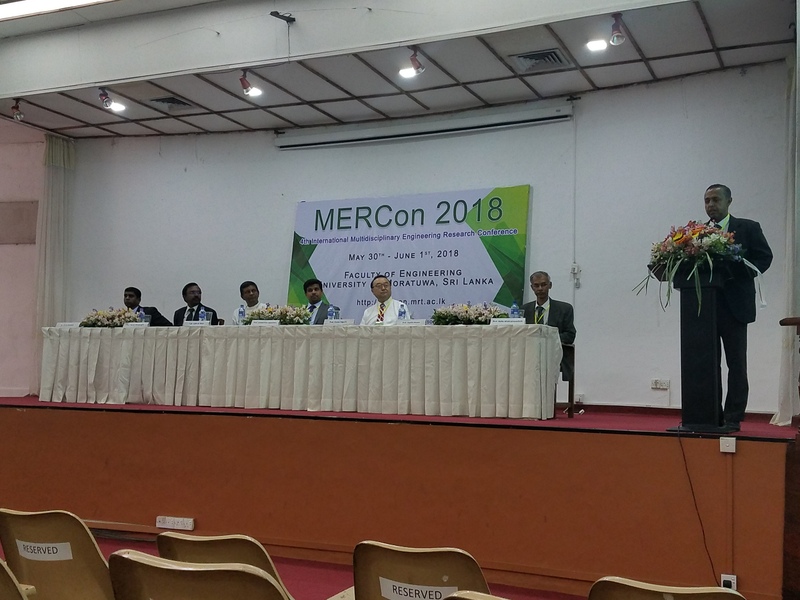 The conference took place at the University of Moratuwa in Sri Lanka on May 2018. Mr. Stephen J. Machuzak defended his master thesis on Thursday, 30 March 2017. 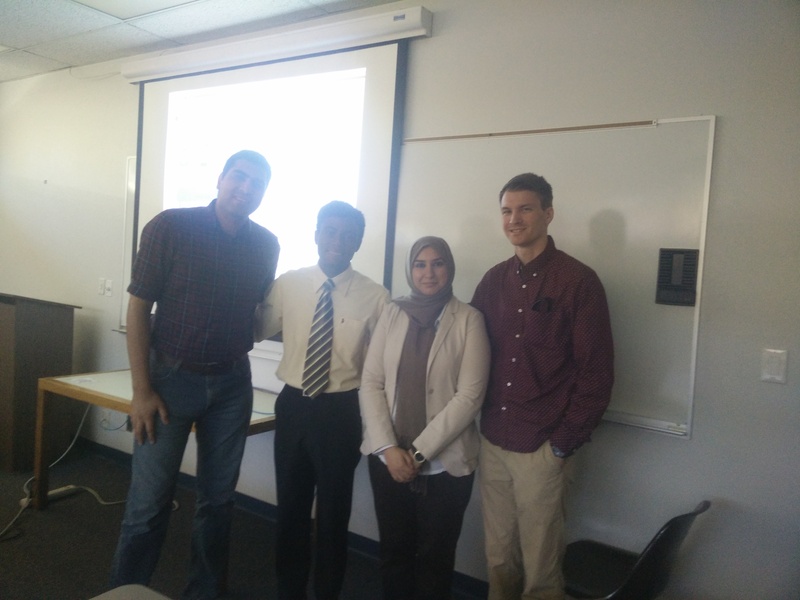 His thesis title is "Cognitive Anti-Jamming Framework with Self-Interference Cancellation on a Wideband Autonomous Cognitive Radio" under the supervision of Prof. Sudharman Jayaweera. 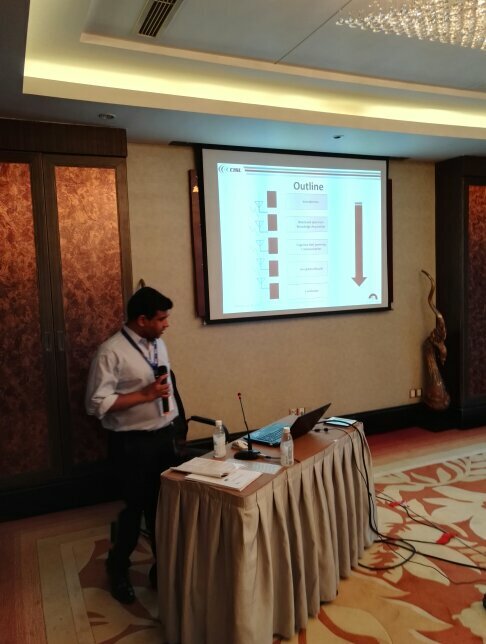 Prof. Sudharman K. Jayaweera participated as a chair of conference session "WCS-4: Physical Layer Security and Full Duplex", IEEE/CIC International Conference on Communications (ICCC) in Chengdu, China on 07/28/2016. Mr. Juan Samuel Perez defended his master thesis on Monday, 11 July 2016. 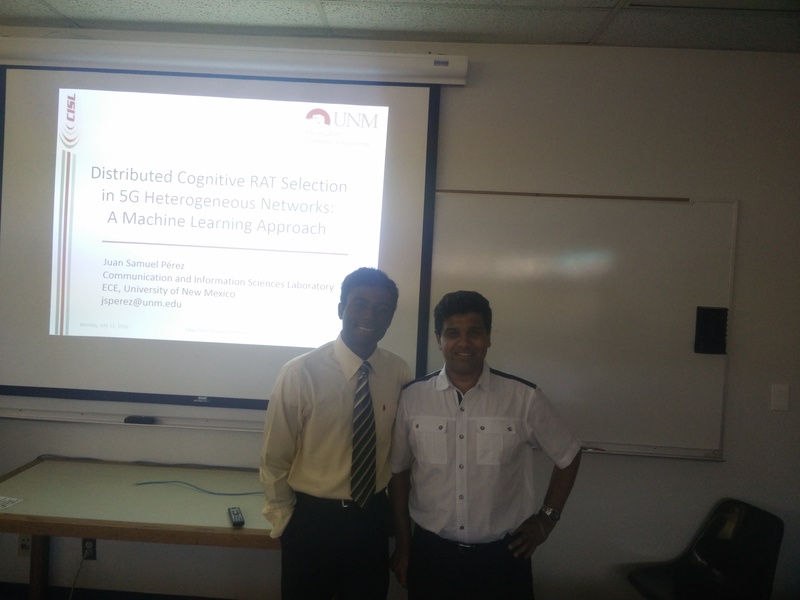 His thesis is "Distributed Cognitive RAT Selection in 5G Heterogeneous Networks: A Machine Learning Approach". Mr. Perez has been studying and doing research under the supervision of Prof. Sudharman Jayaweera. Professor Jayaweera was invited to give a seminar on “Spectrum Knowledge Acquisition in Wideband Autonomous Cognitive Radios” at the Singapore University of Technology and Design in Singapore on 09/14/15. 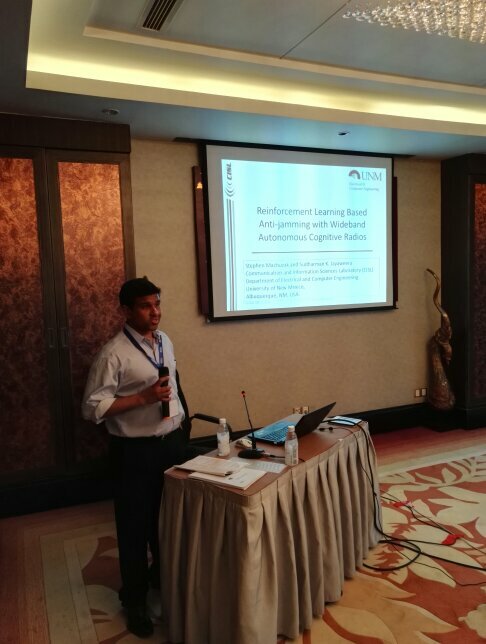 Professor Jayaweera was invited to give a seminar on “Spectrum Knowledge Acquisition in Wideband Autonomous Cognitive Radios” at the Institute for Infocomm Research (I2R) in Singapore on 09/10/15. 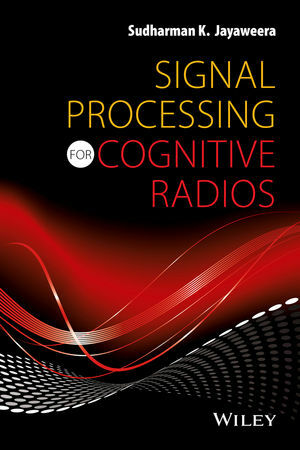 Professor Jayaweera published the Wiley book titled Signal Processing for Cognitive Radios. This is the first book dedicated to wideband autonomous cognitive radios. 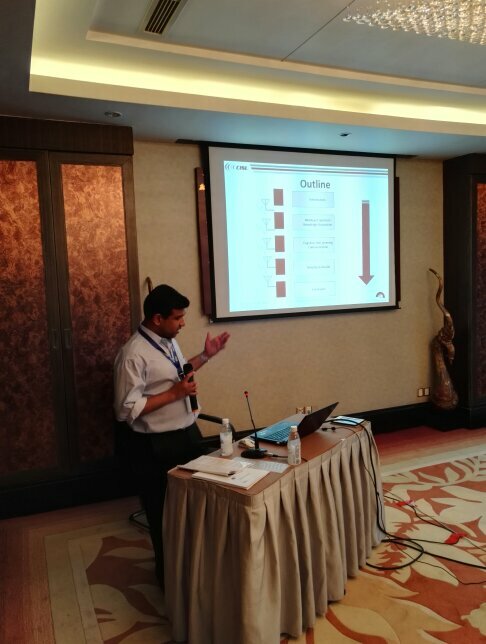 Professor Jayaweera was invited to give a seminar on “Wideband Spectrum Knowledge Acquisition in Cognitive Radios" at the Posts and Telecommunication Institute of Technology (PTIT) in Hanoi, Vietnam on 10/20/2014. 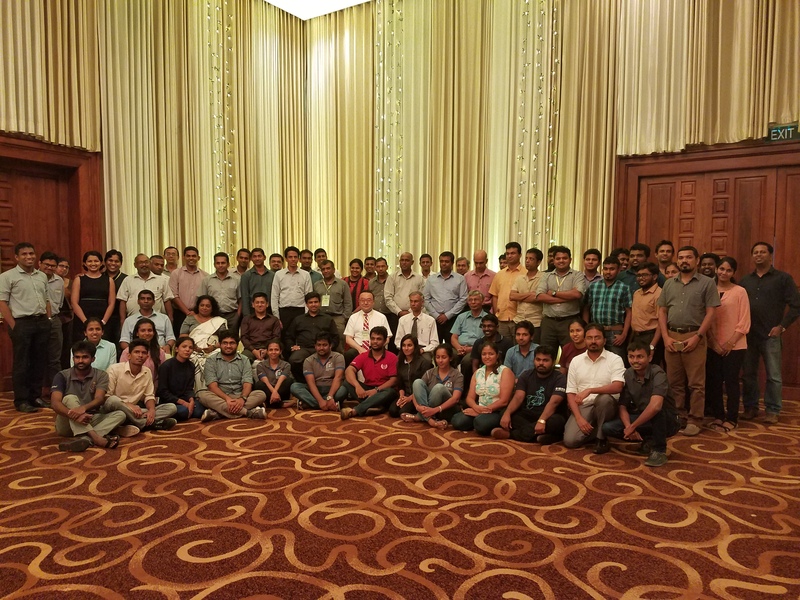 Professor Jayaweera delivered the Keynote address at the 8th International conference on telecommunication system, services, and application (TSSA’14) held in Kuta Bali, Indonesia in October 2014. The title of the keynote was “Signal Processing and Machine Learning in Wideband Cognitive Radios”. One of the current research focus areas at CISL is in machine-learning and decision-making techniques for interactive smart-grid technology. Some of our on-going research is reported in the following journal paper that was accepted for publication in IEEE Transactions on Parallel and Distributed Systems (TPDS) recently. 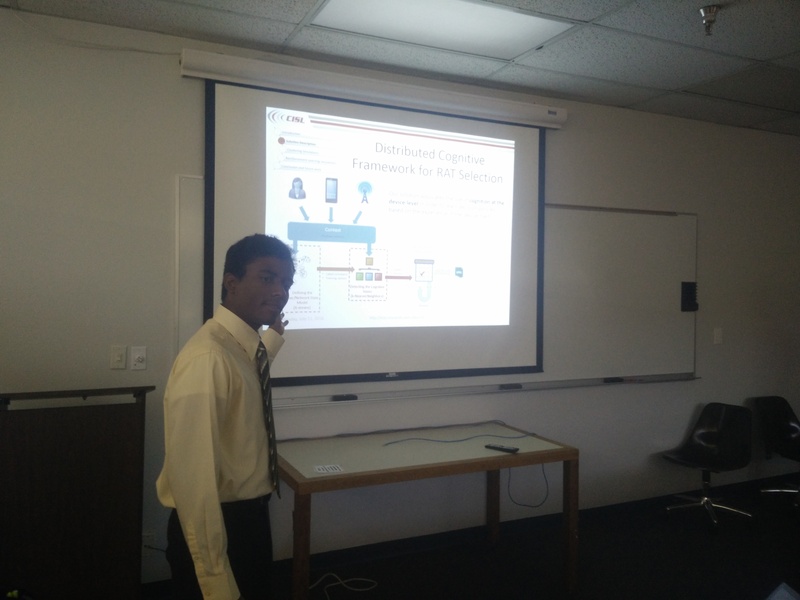 D. Li and S. K. Jayaweera, "Distributed Smart-home Decision-making in a Hierarchical Interactive Smart Grid Architecture", IEEE Transactions on Parallel and Distributed Systems,	Feb. 2014. Abstract: A hierarchical smart grid architecture is proposed for the Utility-customer interaction consisting of sub-components of customer load prediction, renewable generation integration, power-load balancing and demand response (DR). A scalable solution to the real-time scheduling problem is proposed by combining solutions to two sub-problems: (1) centralized sequential decision making at the controller to maximize an accumulated reward for the whole micro-grid and (2) distributed auctioning among all customers based on the optimal load profile obtained by solving the first problem to coordinate their interactions. For the centralized decision making problem, a hidden mode Markov decision process (HM-MDP) model is proposed. For the distributed decision making problem, a Vikrey auctioning game is designed to coordinate the actions of the individual smart-homes to actually achieve the optimal solution derived by the controller under realistic gird interaction assumptions. One of the current research focus areas at CISL is in machine-learning and decision-making techniques for Cognitive Radios. Some of our on-going research is reported in the following journal paper that was accepted for publication in IEEE Communications Surveys and Tutorials recently. M. Bkassiny, Y. Li and S. K. Jayaweera, "A survey on machine-learning techniques in cognitive radios", IEEE Communications Surveys and Tutorials,	vol. 15, no. 3, pp. 1136-1159, Third Quarter 2013. Abstract: In this survey paper, we characterize the learning problem in cognitive radios and state the importance of artificial intelligence in achieving real cognitive systems. We review various learning approaches that have been proposed for cognitive radios classifying them under supervised and unsupervised learning paradigms.Unsupervised learning is presented as an autonomous learning procedure that is suitable for unknown RF environments, whereas supervised learning methods can be used to exploit prior information available to cognitive radios during the learning process. We describe some challenging learning problems that arise in cognitive radio networks, in particular in non-Markovian environments, and present their possible solution methods. Finally, we present some generic cognitive radio problems and show suitable machine learning approaches for learning in these contexts. Prof. Sudharman Jayaweera and his research group won an award for a paper presented at the IEEE Pacific Rim Conference on Communications, Computers and Signal Processing in Victoria, Canada in Aug. 2011. The paper was awarded the "IEEE PACRIM 2011 Gold Award for Best Communications Paper". S. Chen, C. Ghosh, A. M. Wyglinski and S. K. Jayaweera, "Impact of Group Cooperation over Competitive Secondary Subnetworks" IEEE Pacific Rim Conference on Communications, Computers and Signal Processing, Victoria, Canada, Aug. 2011. Prof. Jayaweera delivered the invited plenary talk at the 6th International Conference on Industrial and Information systems in Kandy, Sri Lanka, Aug 16-19th 2011 (ICIIS2011). 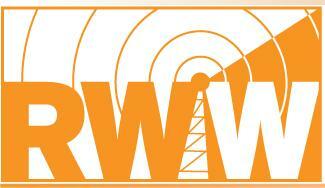 A plenary talk has been presented by Prof. Sudharman Jayaweera in the Radio Wireless Week (RWW2011) Conference. 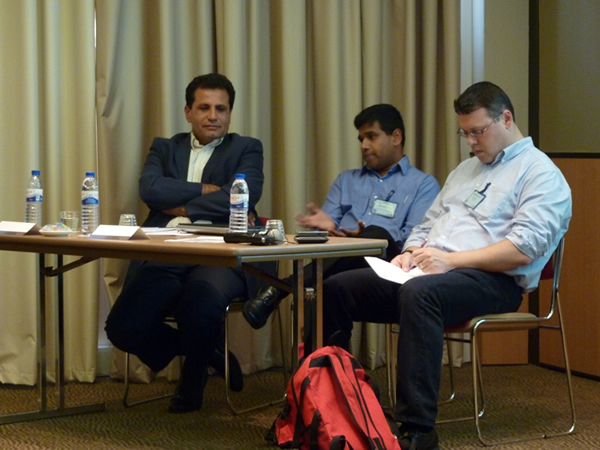 Prof. Sudharman K. Jayaweera participated as a panelist in a workshop organized by EU FP7 project C2POWER. 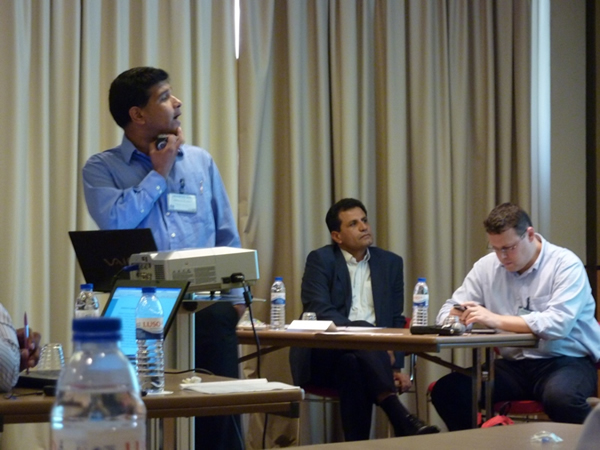 The workshop focused on power optimization techniques, which took place in Lisbon, Portugal on the 8th of September.